It seems that everyone over the age of 14 is on a diet. Given that obesity is a growing threat to the health of many Americans, it is clear that not all diets work. One diet that is getting a lot of attention is the South Beach Diet. Embraced by millions, the South Beach Diet can be a paved road to a slimmer figure. The South Beach Diet is popular for several reasons. It is practical, because you don’t need special foods or medications or surgery. It is easy to adopt the South Beach Diet without making a public announcement, since the “allowed” foods are commonly eaten by non-dieters so you won’t stand out. Plus, there is a lot of variety to the meal options so that you don’t get bored eating nothing but one food for weeks at a time. This flexibility means that you are managing the diet instead of the diet managing you. There are three phases, or stages, to the South Beach Diet. The introductory phase is brief, the middle phase achieves most of the weight loss, and the third phase is maintenance – keeping the weight off. As you might expect, the creators of the South Beach Diet have prepackaged foods and related support materials for people who want an extra level of support and/or don’t cook. Phase one of the South Beach Diet is sometimes called the induction phase. During phase one your food selections minimize refined sugar and starch. For two weeks you limit yourself to lean proteins and high fiber vegetables. Think chicken breast cutlets and broccoli with low-fat cheese sauce. The aim here is to reduce your craving for sweets and carbohydrates. After the two week induction phase, the second phase focuses on actual weight loss. In phase two the meal selection adds whole grains, so you can have brown rice, whole-grain breads and whole-wheat pastas. Fruits come back into your life. The calorie restrictions and low-fat, low-carb meals will let your body lose weight in a gradual and safe manner. During phase two you can easily keep to the diet when you eat out or dine at a friend’s house by carefully (and inconspicuously) selecting the things that you choose to eat. My favorite aspect of phase two? I can eat dark chocolate again! Once you have reached your goal weight, you enter phase three. Phase three is maintenance, keeping the weight off long term. Your meal plans stay pretty much the same, but your calorie limit is increased to match your burn rate. You still stay away from high fat and carb-heavy foods, but your menu choices are still very broad. This will be your diet for life. The good news: lots of variety and plenty of choices that you already love. Diets are never easy. At the core, a diet is the reduction of a pleasurable experience: eating. Staying with a diet during the plateau weeks and occasional back-slide is tough. Most people have much better luck going on a diet with a friend. That way you can offer each other encouragement and support. If you don’t have a friend ready to take on a diet with you, check out WannaBuddy.com, a site that connects local people who share a passion for healthy living. The South Beach Diet can help you to reach a better body weight while lowering your “bad” or LDL cholesterol and reducing the incidence of stroke, heart disease and type II diabetes. Give it a try; it might be perfect for you. A balanced approach to bodybuilding and fitness in general is important. Weight training and brief, high intensity bursts of exertion are certainly crowd pleasers, but there’s nothing like an integrated cardio regimen to keep body fat levels low and endurance high. Here are some thoughts on reaching cardio nirvana. Bodybuilders are known for their dramatically cut physiques. Having the endurance to carry that carved body around the track is important, too. So that means that your elliptical machine or treadmill needs to see you at least twice a week. To keep your workout from getting too dull, consider mixing in some distance swimming or running on the track. Anything that gets your heart rate up for 20-30 minutes is great, like beach running, hill sprints, stair climbing, and a perennial favorite: racing up and down the bleachers. These are all good exercises to intersperse with your normal gym routine. Why is cardio important? Your lungs and heart are challenged by weight training, but not particularly strengthened during the brief and intense exercises. Longer duration periods of activity are critical to maintaining a healthy cardiovascular system. That means reaching and sustaining a heart rate of around 140 beats per minute for a twenty-something and around 120 beats per minute for a more mature, but fit individual. These exercises boost your metabolism, causing your body to burn fat cells to keep up with your demand for energy. Studies have shown that cardio can measurably reduce your risk of type II diabetes and heart attack. Plus, you’ll feel great when you stop! So don’t overlook the less glamorous, but rewarding cardio components of your workout. Whether you’re a bodybuilder or just getting yourself back in shape, you will be healthier with cardio. p.s. We all know that workouts are more fun with a buddy. You can find a workout buddy at WannaBuddy.com. When you think about getting a gym membership, the YMCA may not be the first place that you think of. Many people associate “the Y” with musty gymnasiums full of sweaty pre-teens incessantly bouncing basketballs. But today’s YMCA is a very different place. Sure, you won’t see a lot of chrome, lavish locker rooms or legions of spandex-clad salespeople eager to sell you a two year membership at a low introductory rate. Instead, you will find a community-oriented, non-profit organization that truly caters to the local needs. With over 2,600 local Ys, there’s a good chance that you are close to one, yet because of their low-key approach you may not even know it. Your next workout could be just around the corner! More than 21 million people of all ages and every walk of life use the YMCA for fun, exercise and community. Depending almost entirely on their core of 500,000 volunteers, the YMCA doesn’t have many of the expenses of the more glamorous fitness centers, making it far more affordable. Although you give up on the glitz, you will get plenty of choices when it comes to your fitness regimen. Most Ys feature fully equipped workout facilities, running tracks and swimming pools. There are regularly scheduled instructor-led classes as well as drop-in access to their equipment and facilities. In addition, the YMCA takes a holistic approach to fitness, so in addition to the traditional workouts and yoga classes, there are classes on healthy lifestyles, dieting, nutrition, smoking cessation, substance abuse prevention, just about anything that can improve a person’s life. Given all of the benefits of a YMCA membership, you will be shocked by how inexpensive a YMCA membership is. Membership costs vary from location to location, but are remarkably inexpensive. Plus there is no long-term commitment. For individuals and families with lower incomes, there are half prices deals available. Monthly payment plans and membership transfer policies acknowledge our modern nomadic life. So the next time you decide that its time to hit the gym, check out the Y. An amazing value from people with amazing values. p.s. Everyone knows that a workout buddy makes fitness more fun. Find a new workout buddy at WannaBuddy.com! One of the most successful approaches to weight loss can be limiting your intake of carbohydrates. Carbohydrates, the basic building block for energy (and therefore fat, too) are in most everything that we eat. Going truly NO carb is very difficult. Going low carb can be done without making huge sacrifices and has been successful for many people in their quest for weight loss. What is on a low carb menu? A low carb diet focuses on shifting the balance of food from carbohydrates to protein. Carbs are digested into sugar which becomes blood glucose, which bonds with insulin and powers our bodies. Reducing our intake of carbs causes our body to burn fat to make up the energy deficit. Ta-da! We can lose the fat without starvation. Sounds good, right? That makes a plate of vegetables a wonderful thing, because most veggies don’t have a lot of carbs. Low sugar fruits are great too, like cranberries, blackberries and raspberries. Protein is definitely on the menu since proteins like meat, fish and dairy have few carbs. Just watch out for your fat intake. The same is true for nuts and seeds. Besides weight loss, are there benefits to a low carb diet? Yes! In general, eating a low carb diet will improve your triglycerides, raise your high density liploprotein cholesterol (good cholesterol) and lower your (slightly) your low density lipprotein cholesterol (the bad cholesterol). That assumes that you’re responsible about balancing your fruits and vegetables versus your red meats and not subsisting entirely on “carnivore style” burgers at In-n-Out. Like anything, moderation is important. Low carb should be no carb. Your body needs a supply of energy, and metabolizing fat is not as efficient as burning carbs. If nothing else, too few carbs will give you bad breath as one symptom of ketosis (fat burning). But don’t worry about low carb conflicting with your exercise or weight training. There is plenty of medical evidence that shows that the two are not incompatible. As long as you’re not training at an extreme level, your body can build muscle mass just fine on a low carb diet. Just jump in! There are numerous recipe books and web sites with wonderful menu planners for people starting out with their new low carb lifestyle. You can look forward to a varied and delicious meal and a slimmer, trimmer you! p.s. Most people agree, a diet is much easier to keep when you have a diet buddy. 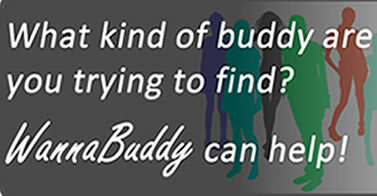 Don’t have a buddy yet? Check out WannaBuddy.com and find a local diet buddy.